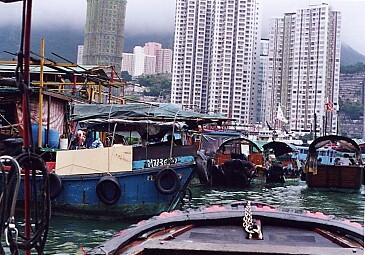 This is the harbor in Aberdeen where the few remaining fisherman live. It is bad luck to set foot on land so they live on their boats which were all anchored in the harbor because there is no fishing allowed in the summer. Unfortunately, it was raining so nobody was out. 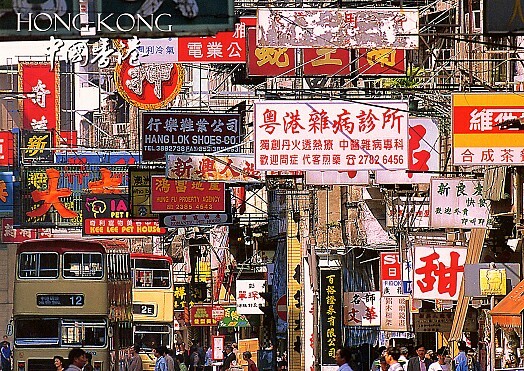 This is a post card picture of downtown Hong Kong. 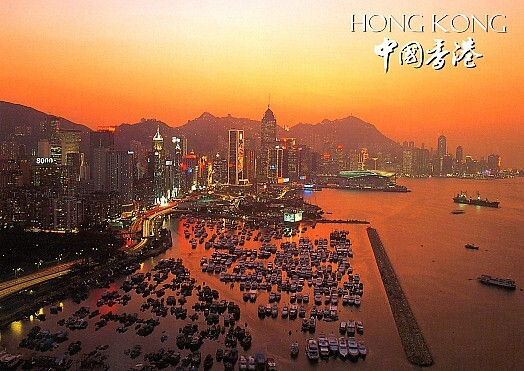 Another post card of Hong Kong at sunset. 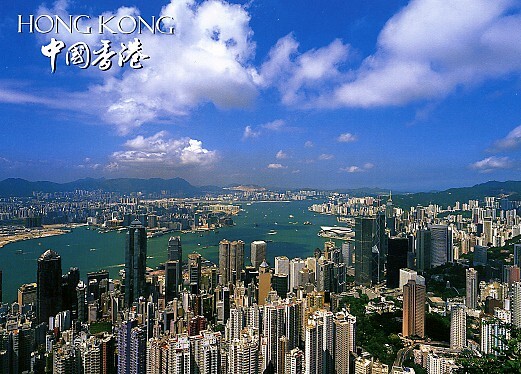 This is the view from the top of Victoria peak which is the highest hill in Hong Kong. The large city across the bay is Kowloon where we stayed. 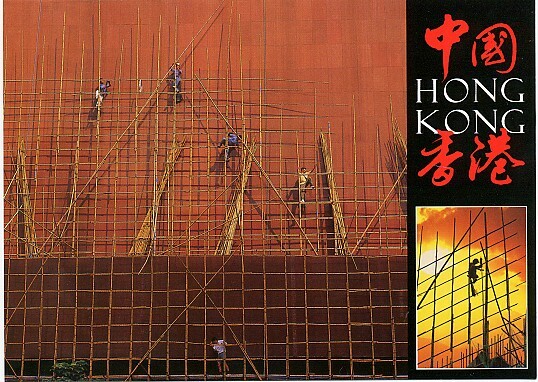 Climbing Hong Kong style. Work on the sky scrapers is done from bamboo scaffolding built from the ground up. They tie the bamboo pieces together with strips of plastic and go up 60 storeys.